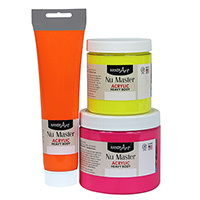 Nu Master® Acrylic Heavy Body Paint offers students and artists excellent high quality paint for a great value. These rich and vibrant acrylic paints have the ability to hold texture to create a variety of effects from thin washes to heavy impasto. Intense and mixable colors dry to a permanent, lightfast, flexible and water resistant gloss finish. Use on many surfaces such as canvas, paper, fabric, wood, plastic, glass, cardboard and metal. Clean up with soap and water. 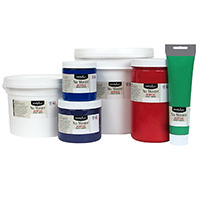 Nu Master® Acrylics are ideal for teaching color theory and mixing. 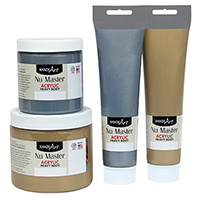 Nu Master® Acrylics are certified AP non-toxic.